Bright seven segment LED display. Compatible with external serial printer. Automatic distance, waiting time and fair calculation. Front side and rear side keys provided for operating meter. 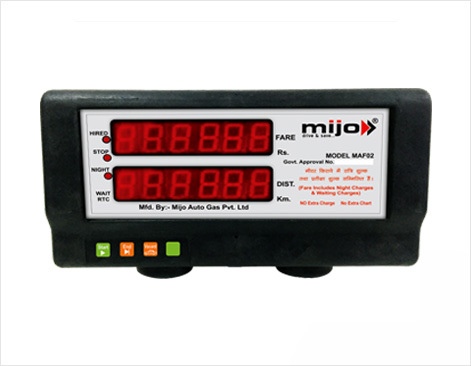 Real time clock for accurate time and automatic change over from day to night.